Hey, look! I'm back with a recipe AND a brand new look. Thank you for all your kind words on last week's 24 hour post. It was the weirdest post to publish (yup, even weirder than announcing pregnancy two years ago). For the time being, I'm going back to posting two times a week so I can bring you other cool projects without losing my mind. But let's talk about this new look: My dear friend Lindsay of Gather and Co. has been working tireless on my logo and other brand elements. I swore I was the worst client ever (I switched color themes as we neared the end the project) but Lindsay was incredibly patient, walked me through all the things I didn't know, and assured me I was not the worst client ever. If you're looking for branding for your blog or business, for wedding invites, stationary suite - I highly recommend Gather and Co. I still have some technical tweaking to do behind the scenes, but I could not wait to share the new look of Stir & Scribble! I also finally put together a legit portfolio site for my work at MeghanSplawn.com. An updated recipe database is also underway! 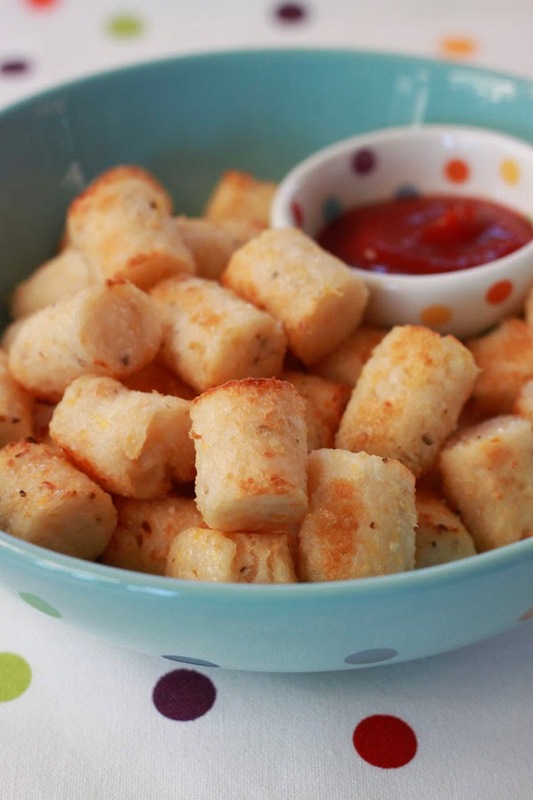 But you just really want to know about these Grit Tots huh? I have been testing a lot of grit making recipe lately. Basically I'm lazy and I'm trying to find a way to make perfect creamy grits without standing over the stove. 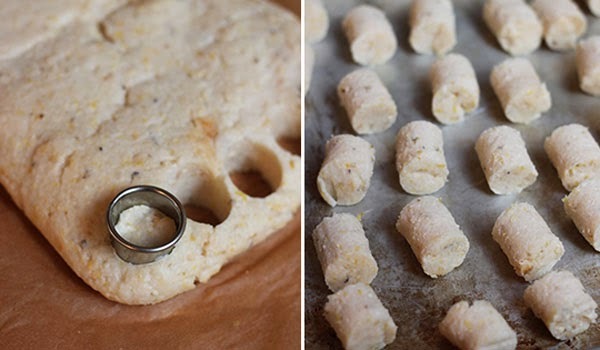 I've tried a baked version and a slow-cooker version and Iamthisclose to cracking the code (and I promise to share when I do). All this to say I've had a lot of leftover grits in the house. A good problem to have when you have this trick in your back pocket. 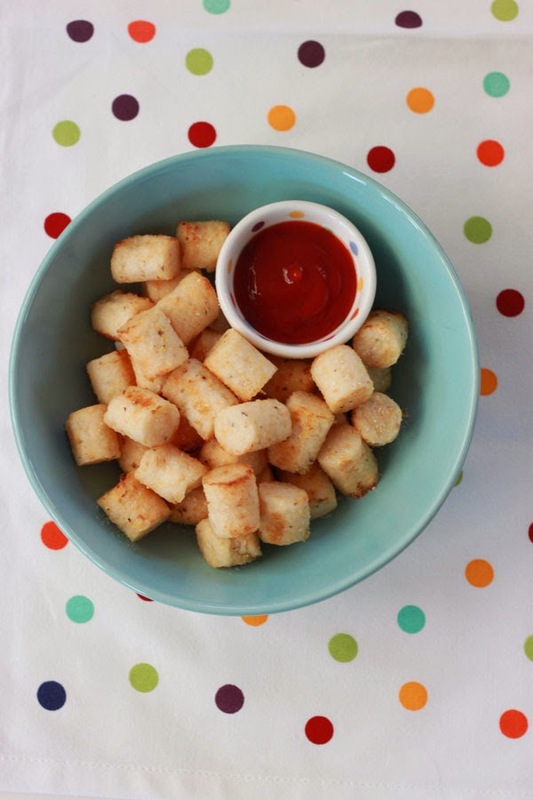 These Grit Tots are as simple as cutting up some grits (I used a small round cutter, but I also tested them as simple square) and I'm 97% sure you can do the same with cooked or ready made polenta too! Set an oven rack about 6 inches under your broiler. Heat the broiler to high. Cut the grits into 1 inch square or punch out rounds with a 1/2 inch round cutter. Coat a baking sheet with 1 tablespoon olive oil. Spread the cut grits into a single layer on the sheet pan. Drizzle on the remaining olive oil and gently toss to coat. Broil the Grit Tots for 1 to 2 minutes on each side until golden, about 8 minutes total. 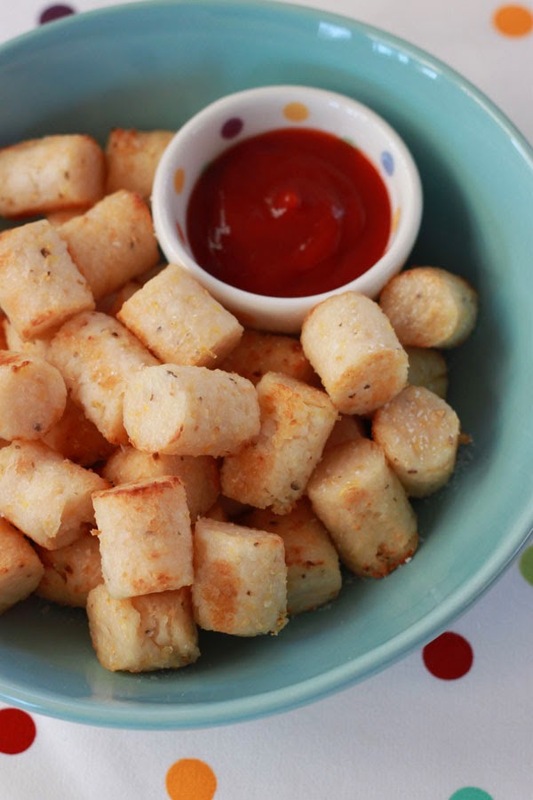 If the tots seem to be sticking use a thin flat spatula to flip them. Sprinkle with additional salt and cool slightly before serving. Thank you so much! I seriously cannot say enough good things about working with Lindsay! Thanks Erika! And I tend to over think everything, but I'll give your advice a go. I'd love a perfect simple how-to from you friend! So exciting to see the new look up and running! It was such a fun project to work on and I am honored that I was able to be a part of it! Cheers to Stir & Scribble! I love the new layout of Stir and Scribble! Thanks for being such an inspiration, I always look forward to your posts! Hope you and your sweet family are doing well.